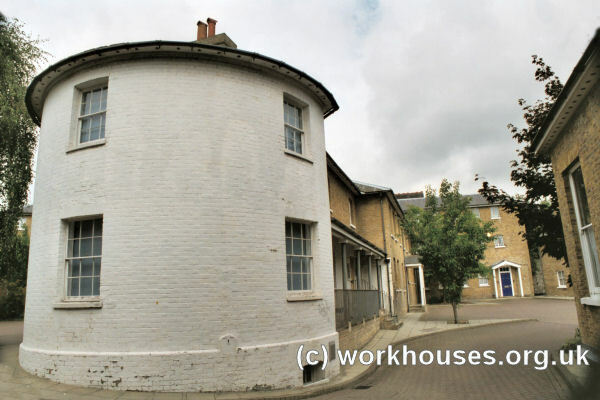 A Dartford parish workhouse was built on a site called Lurchin's Hole at the corner of West Hill and Priory Hill in 1729. The total cost of the building including furnishings was £490.1.s.2d. The workhouse was the subject of a report in An Account of Several Workhouses... dated January 1731. 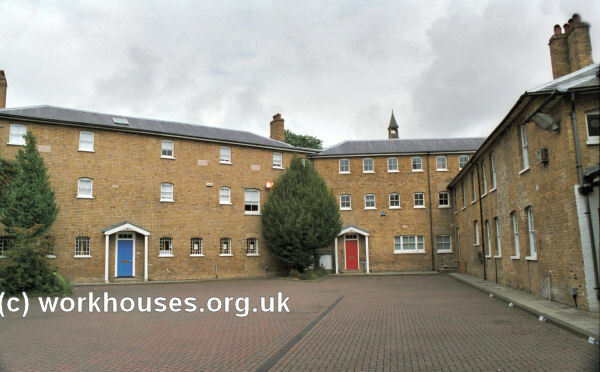 Our new Workhouse, opened at Michaelmas 1729, goes on with all the Advantage both to the Poor and the Parish, that we could expect; the Parish having saved already more than half the usual Charge; and what is better, the Poor live in a much more comfortable and religious Way than they did before. They who are able (which at present are very few) are employ'd is some domestick or mechanical Services; And they who can no way minister to the Necessities of the rest, are ministered to in all Things needful for Soul and Body. The Children are taught such Things as best qualify them for Servants, and by Intervals are taught to read and say the Church-Catechism: And 'tis to be wished that there was a proper Fund to support the teaching and cloathing of the other poor Children, together with the Children of the Workhouse. Prayers are read every Morning and Evening in the Family, so that I can with much Truth affirm, that Christian Piety, Industry and Charity, are here exemplified in a good Degree. A parliamentary report of 1777 recorded parish workhouses in operation at Bexley (with accommodation for up to 40 inmates), Crayford (26), Darenth (36), Dartford (65), Erith (40), Eynesford (15), Stone (20), Sutton-at-Hone (40), and Swanscomb (16). 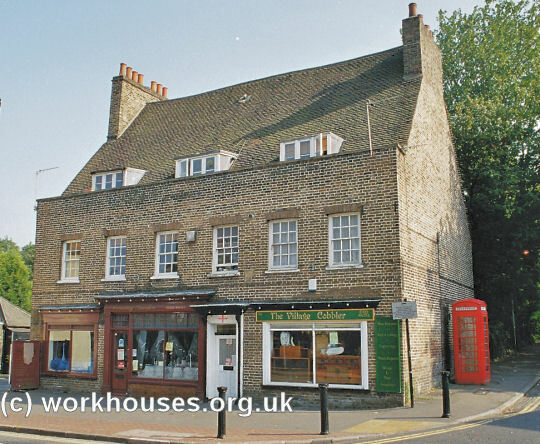 Bexley erected a parish workhouse on Bexley High Street in 1787 on the site of an earlier establishment. Below the upper-floor windows is a course of bricks some of which are dated 1787 and initialled with members of parish vestry. County of Kent: Ash-next-Ridley, Bexley (2), Crayford (2), Darenth, Dartford (2), Eynesford [Eynsford], Erith, Farningham, Fawkham, Hartley, Horton Kirby, Kingsdown, Longfield, Lullingstone, Ridley, Southfleet, Stone, Sutton-at-Hone, Swanscombe, East Wickham, Wilmington. The population falling within the union at the 1831 census had been 21,053 — with parishes ranging in size from Lullingstone (population 40) to Dartford itself (4,715). The average annual poor-rate expenditure for the period 1834-36 had been £11,629 or £11s.1d. per head. The long entrance block fronted onto West Hill at the south of the site. An entrance archway lay at its centre, flanked by the porter's lodge and board-room. A men's hall and receiving ward lay at the west, and women's at the east. Tramp wards were located at the far west of the building. Dartford entrance block from the south-west, 2001. 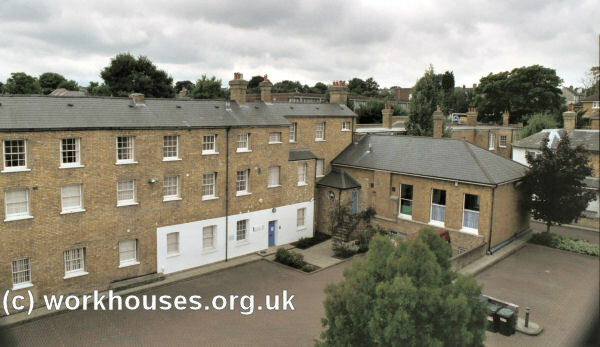 Dartford workhouse rear of entrance block from the north-east, 2001. The building to the rear was laid out in a semi-circle with a projecting spine at its centre. The chapel lay at the centre of the semi-circle, with men's accommodation to the west and women's to the east. 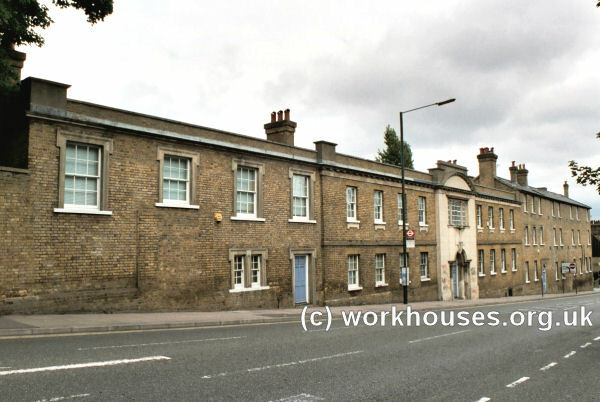 Dartford workhouse male blocks from the south, 2001. The spine contained a washhouse, cookhouse and kitchen. The Master's residence was at the southern end, with windows positioned to give a good view of each of the various inmates' exercise yards. Dartford workhouse central spine from the south, 2001. Later additions were made at the north of the site. These included a separate chapel in 1878, and a large expansion of the hospital facilities with the erection of two infirmaries in the period 1887-97. Dartford advertisement for Supplies, 1905. In 1913 the hospital part of the site became known as the King Edward Hospital. During the First World War, the workhouse and hospital were taken over by the Vickers company as accommodation for their munitions workers. In 1930, control of the site passed to Kent County Council, and in 1935 it was renamed the County Hospital, Dartford. With the inauguration of the National Health Service in 1948, the hospital became West Hill Hospital. 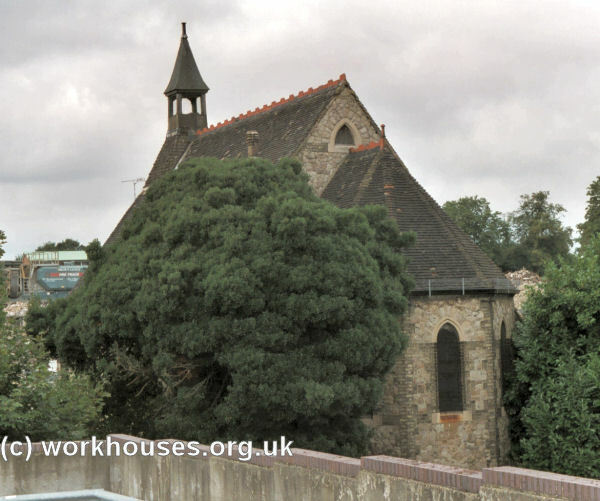 By 1986, the original workhouse buildings had become disused and would have been demolished had it not been for the efforts of the Dartford Society who initiated a refurbishment project. The buildings are now used as small business premises. The hospital itself has now closed and has been demolished with the exception of the 1878 chapel. In the early 1900s, the Dartford Union established a children's home at Manor Gate, Common Lane, Wilmington. In more recent times it has become Wilmington Manor Nursing Home. Kent History and Library Centre, James Whatman Way, Maidstone, Kent ME14 1LQ Holdings include: Guardians' minutes (1836-1930); Births (1898-1929); Deaths (1914-30); Creed registers (1869-1930); Register of lunatics (1891-1932); Punishments book (1914-1944); etc. Crime and Poverty in the Dartford Area 1480-1900 by A Arthur, P Boreham and G Porteus. (Dartford Borough Museum, 1984).